Hi Everyone!!! Hehe, now that I have your attention right? 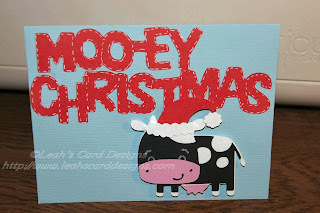 Are you wondering what "Moo-ey Christmas" is all about. 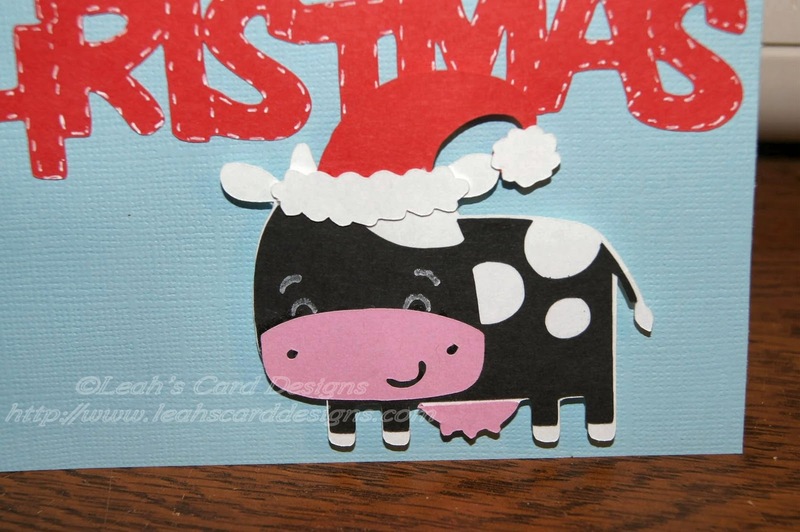 Well, I had a request last night for a Christmas Card with a cow on it. I said "Sure I can do that ~ I'm on it!" Then in a few minutes I had the layout of the card and sent off a screen shot ~ it was perfect. They really liked it. Here is the card done up complete. I sent this off to them as well so they could approve the final. They did!!! I'm real happy. Now, the next task is to get it out in the mail ASAP for them to get it out. Now I have 9 more Christmas Cards to get done for the ones that came in the mail! 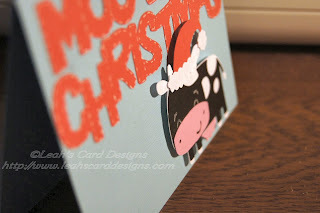 :) So excited to see cards....and I love to send them off to friends and family. Now here is the "Moo-ey Christmas" card. The card is an A2 sized card. I cut the 8.5 x 11" piece of cardstock in half to get the A2 sized card. 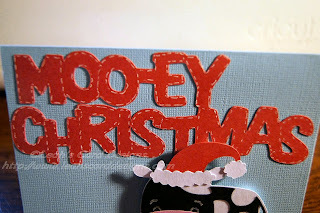 I then cut the "Moo-ey Christmas" from CCR at 1.3" and welded them together. I then cut the cow and layered him. I used the hat from Christmas Cheer Cricut Cartridge.